Attack 1 : Wow Pow: Bleh! This attack does 20 damage to all benched Pokemon, and your opponent's Pokemon! 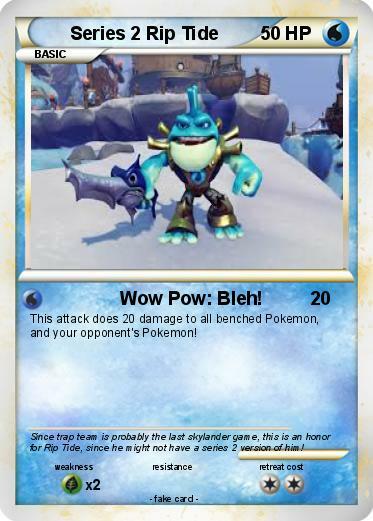 Comments : Since trap team is probably the last skylander game, this is an honor for Rip Tide, since he might not have a series 2 version of him!